Set your child up for academic success! Kindergarten is a critical age as the early years of a child’s life set the tone for their learning. EPL can help kindergarteners develop into active, lifelong learners and become top of the class! -Fun and educational pre-school classes. -Beginner and early reader books, and books with read-along CDs. -Family movie classics and new releases. -Storytime, rhymes and music CDs. -Kids' digital content and other online resources. -Personalized customer service - we can help your child find materials of their personal interest. 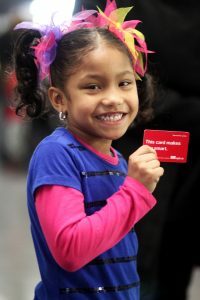 With a library card children can explore a wide variety of books and select their own to take home, encouraging their independence and a love of reading. Looking for something to read with your Kindergarten-aged kid? Check out our recommended book lists. Drop by an EPL branch to learn more. Ready for Reading, Set for Learning, Go to the Library! 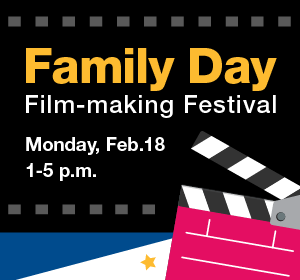 Join us for our Family Day Film-making Festival!